One of the three pillars of Wilsen Initiative (Wi) is connecting people with opportunities around their communities and beyond. Under the ICE program which is an acronym for Inspiration, Connection and Education. We apply the ICE philosophy in different contexts through community development and collaboration with like minded individuals and institutions. 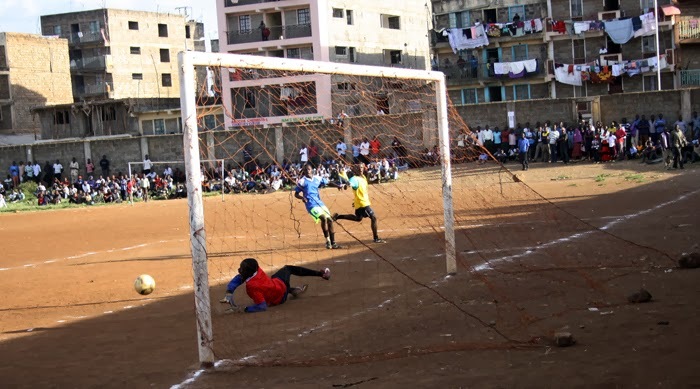 This festive season we were privileged to run the second edition of the pre-season tournament featuring twelve teams mainly from the Mathare North zone and one from Kawangware area. Thirty one matches were played from 24th December 2013 to 1st January 2014, and each match attracted approximately 250 spectators on a daily basis. 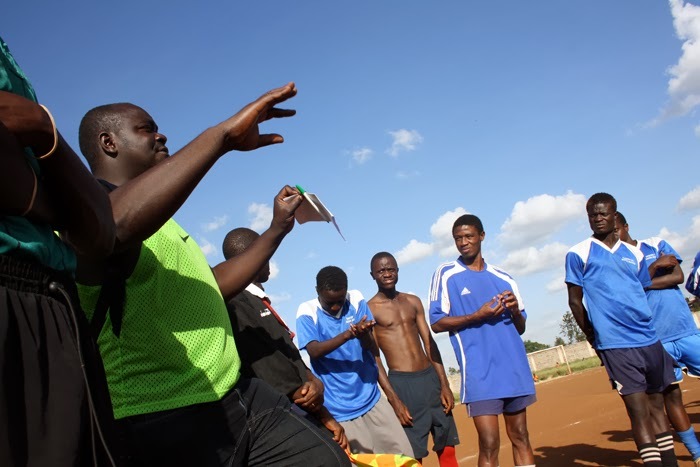 To connect the community with football activities either as spectators, coaches, players, volunteers etc. And by doing so people spend their time wisely and avoid abusing drugs, alcohol or engaging themselves in bad activities. To showcase young talent and support grass-root football in the community. To create a giving back platform for the organizers and other interested young leaders by volunteering or donating time. To use football to create awareness, connections, friendship and growth. We scored high on the participation of the teams and the community support through attending all the matches with a turnout of approximately 250 spectators a day despite a short notice of preparation and kick off. On the lower side most of the teams lack resources, good leadership & management of their teams, poor timekeeping and undisciplined players or teams. We thank everyone who was involved in preparation of the tournament and I really appreciate all the people especially working behind the scenes who in most cases doesn’t get credit for their efforts and work. Working in teams is always the answer to a greater event and working with the right match of dedicated and passionate people always yield great success. And lastly consultation and communication are two things you need to keep even closer to your chest to be effective in what you want to do. Great timing will always create greater opportunities and we look forward to the third edition of the championship come this year (2014) while we strategically plan for many friendly matches with top clubs to expose the untapped talents in the community. We welcome well wisher to come and support us with resources like football kits and balls to distribute to other community clubs here in Mathare and its environs. This entry was posted in Uncategorized by Wilson Masaka. Bookmark the permalink.